Odorheiu is a city with 33.000 inhabitant, situated in a valley of Tarnava Mare river. As a center of a rural area there are many people coming daily to work and to study here. There isn’t a very good public transportation system. In this circumstances and thanks to the inhabitants comfort there are too many cars on the roads. That’s why we face two serious problems: 1. We are encircled by a wonderful natural environment, but our air is polluted by cars. 2. The traffic is daily very busy and this sets back the normal rhythm of life and work: we spend so much time in cars in the traffic in such a small city with small distances. In lack of a well-developed public transportation system too many parents are taking their children with car to schools. This heavy traffic almost stops the city’s life in the morning and in the afternoon. This type of travelling and pollution doesn’t contribute to a healthy human life. There is no culture of safety biking and safe driving to respect the others on the road. In such circumstances there is a need of change our behavior, respectively to start to walk (to appreciate more our wonderful natural environment) and to travel by bike. developing a hiking trail around the city with marked roads and informational tables (about the natural values) and some resting places. The students from higher and lower classes (kindergartens too) asked for this bike educational program. The Rotary Club from Odorhei invited the Szekler Teker Association to know better their bike educational program and to develop together a wider program for more students. The high number of participants on the community hiking event show that people are interested to go out in the nature, but they need to have a guide (maps, marks, other persons or an organize event). We, the project partners draw the inference that we organized a great event which need to be at least annually replicated, but we also need to attract other organizations’ and institutions’ attention to this marked trail. There born the idea to develop this marked trail to be ready for biking also. The number of the biking community is growing in our region. Another interesting detail: there were a sport teacher from Odorheiu Secuiesc who came with 51 students to the community hiking event. The personal experience of the magnitude of the nature is the best argue and teacher for taking care and coming back. There is a strong interest in donors and students too for continuing the biking educational program. We are thinking seriously with the Szekler Teker Association to do steps forward to introduce in the schools’ curricula this educational program. We will continue also to put pressure on the local government to build the biking road. We plan to organize in the close future another Livable Odorhei meeting to analyze where we are and how we can move forward to build a community in Odorhei and in the region which live conscious and responsive, health and active. 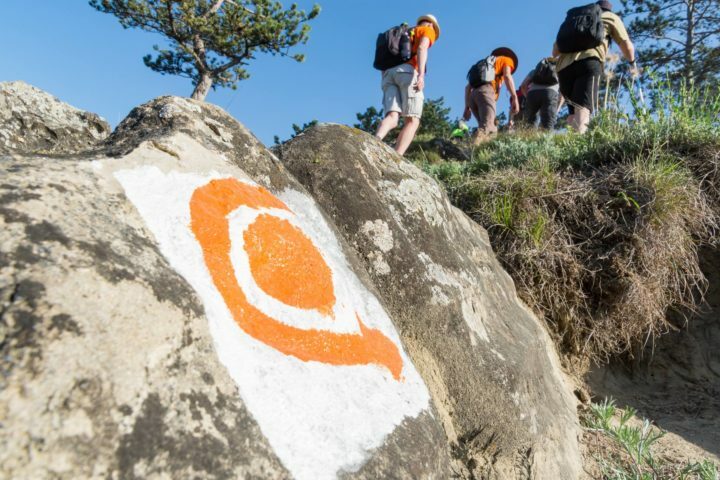 The three NGO partners near the OSCF decided to focus in the future to organize more event on the created hiking trail addressed to schools and other groups, other NGOs. The Szekler Teker Association want to develop the hiking trail for biking road too. On a long term we believe we will create a more Livable Odorhei from this perspective.